With the growing emphasis on cutting commercial carbon emissions there has never been a better time to switch your company to LPG. We provide a range of economical LPG fuel options and reliable supply deals.Go green and reduce your costs by using LPG to heat your workplace. Go green and reduce your heating costs by using LPG to heat your workplace. Be able to tell your customers that you are cutting down your carbon emissions by using LPG heaters in your business. 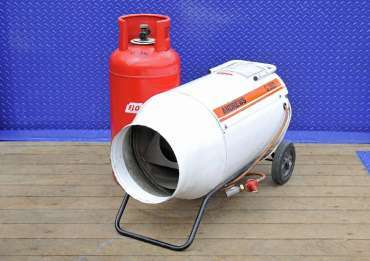 We provide a full range of heaters for sale and hire. And we offer free delivery on all products and bottled gas in Essex, Suffolk and Cambridgeshire – Give us a call on 01787 222380 to find out how much cheaper your commercial heating in Essex could be. Choose the cheapest, cleanest and longest lasting fuel for your fork lift trucks. Save money by switching the fork lift trucks at your depot or warehouse to LPG from GSS Earls Colne. Make your life easier with the free short notice delivery that we offer on all of our products. We know keeping your fork lift working is important to your business so we endeavour to deliver your replacement gas as soon as possible -downtime costs you money and that’s why we do everything possible to keep your depot running smoothly. Become one of our regular customers and we will call you once a week all year round to make sure you never run out of gas. 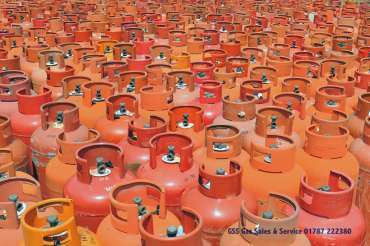 DO YOU NEED AN LPG STATION YOU CAN RELY ON IN ESSEX? We run a local LPG filling station in the Colchester area of Essex – allowing you to fill up your LPG vehicle. We offer competitively priced LPG fuel and friendly service from our base in Earls Colne, just off the A120 at Coggeshall. You can find our LPG gas pump by putting CO6 2NR into your Sat-Nav. If your company is going green and cutting emissions and costs by converting to LPG, we can help you save further by offering you special rates at our LPG pump. Our LPG pumps in Colchester are discounted for our commercial and fleet customers. 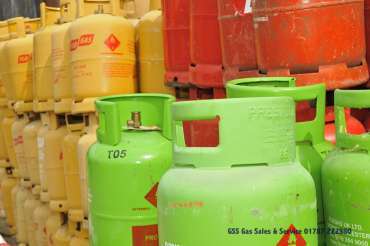 Or if you’re a personal customer GSS Gas offer a LPG car refill centre in Earls Colne for you to keep your car or other LPG vehicle on the move.